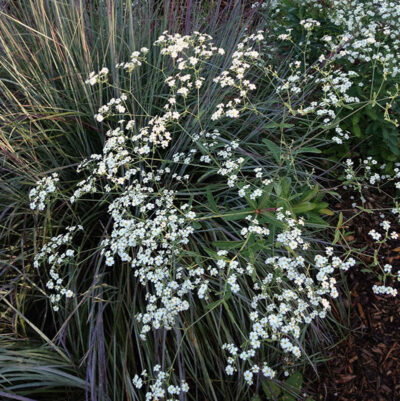 Sprays of white flowers on wiry stems June-October look as if they are floating above the foliage. An excellent native choice for a wildflowery, cottage look. 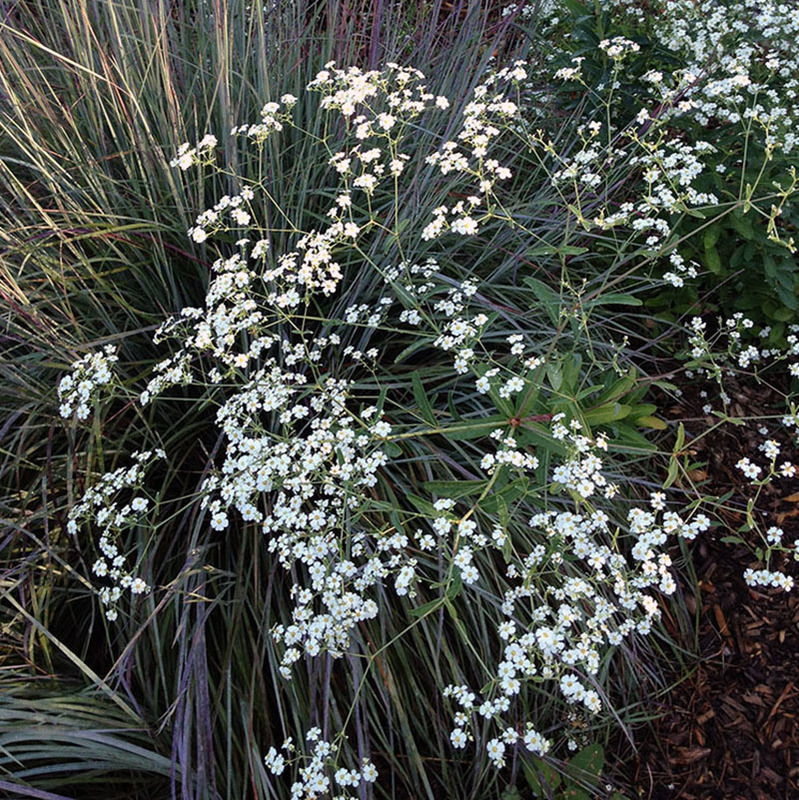 Looks great mixed in with grasses and other flowering native perennials. Makes a good cut flower. Deer and rabbit resistant. Seeds are a food source for songbirds. Full sun. Drought tolerant. Height and spread 1-2′. Zones 4-7.